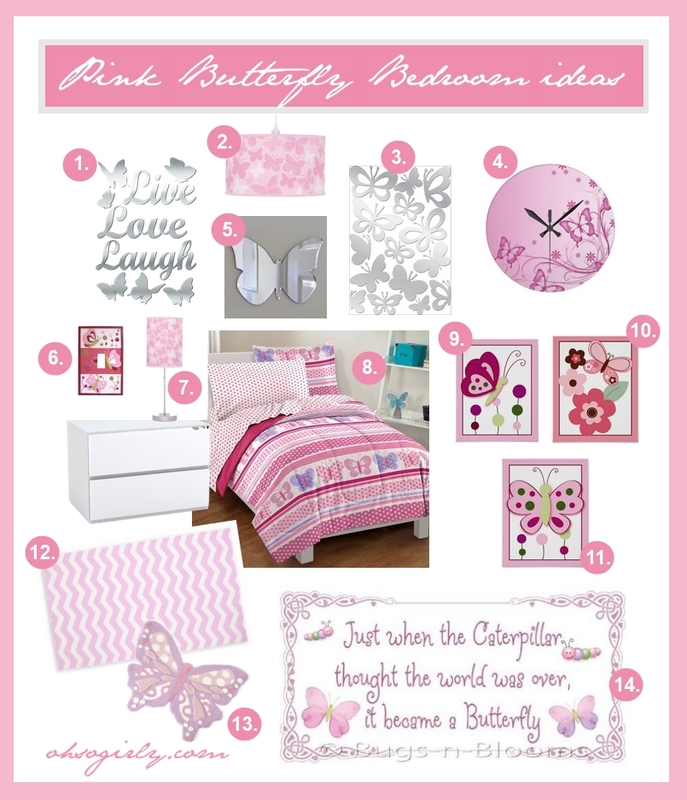 Butterfly Bedroom Accessories - Oh So Girly! The numbers in the picture above relate to the products below. I’ve made each product below clickable so that it’s linked to where they can be purchased online. 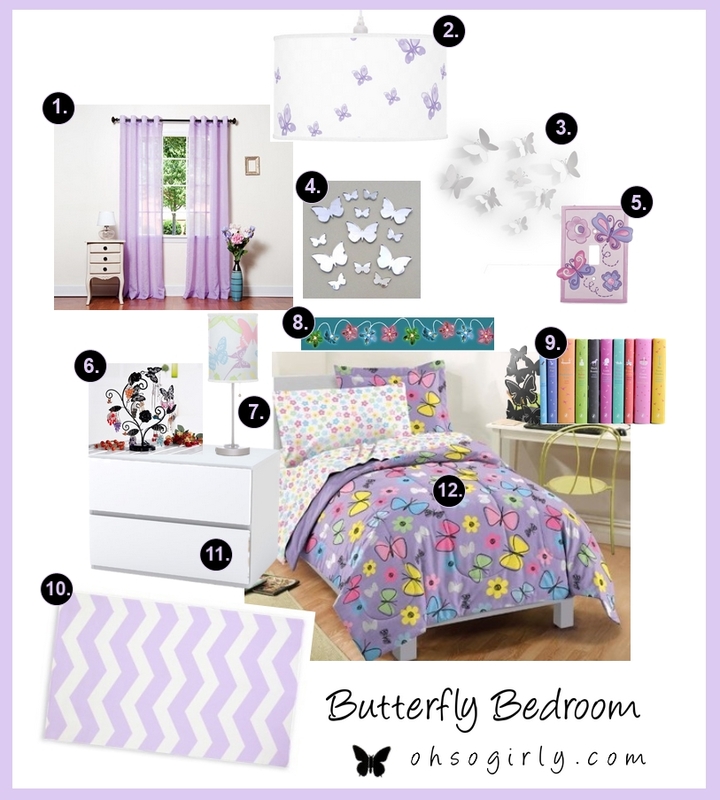 The above bedroom decor idea is by Sweet Jojo designs and the full bedding set can be purchased here . The matching rug that goes with this bedroom decor can be found here . 14. Cute butterfly Quote wall decal : This wall sticker decoration contains one of my favorite quotes: “Just when the Caterpillar Thought the world was over, it became a Butterfly”.